Naval Infantry Day is an official holiday in the Armed Forces of Ukraine celebrated on November 16. It was established by acting President Oleksandr Turchynov in March 2014. Turchynov instituted Naval Infantry Day in order to revive and develop national military traditions, taking into account the important role of the Naval Infantry of the Ukrainian Navy in ensuring national defense. Ukrainian Naval Infantry was first formed in 1918 by former Russian Imperial army general Pavlo Skoropadskiy, who served as Hetman of Ukraine from 1917 to 1918. Its main mission was to protect the coastal areas. Skoropadskiy's Naval Infantry ceased to exist when Ukraine became part of the Soviet Union. The present-day Ukrainian Naval Infantry was created in February 1992, then the 880th Separate Naval Infantry Battalion of the Black Sea Fleet pledged allegiance to Ukraine. 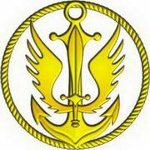 When the Naval Forces were officially created in 1993, the first battalion of the Naval Infantry was formed in Sevastopol. Ukraine's Naval Infantry suffered a severe blow during the Crimea Crisis of 2014 and the War in Donbass. Naval Infantry Day was established to recognize the contribution of Ukrainian marines and honor those who died in the line of duty.